Each shelf with a weight capacity of 150 lbs. The Clinton Industries Heavy Duty Lift and Load Weight Storage Shelf is a sturdy medical storage device designed to safely hold weights needed for work hardening, work conditioning, physical therapy and/or rehabilitation. Durable and Functional. 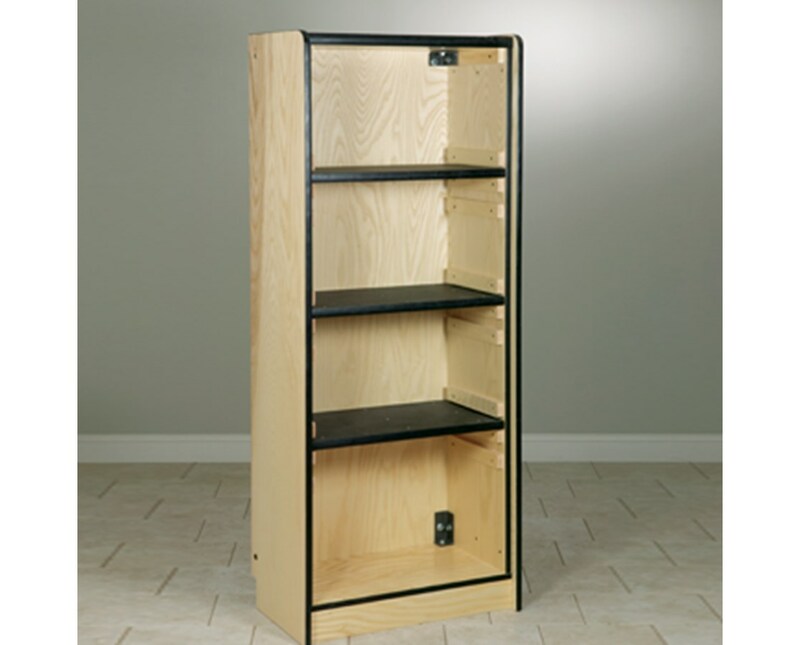 Built with high-quality and solid materials, the Heavy Duty Lift and Load Weight Storage Shelf have an all hardwood, plywood construction with double thick uprights for ensured stability and a bumper T-moulding on all exposed edges. Each of the 3 shelves is covered with a 1" thick black, ABS Plastic that can be adjusted to different heights depending on its location and has a maximum capacity of 150 lbs. 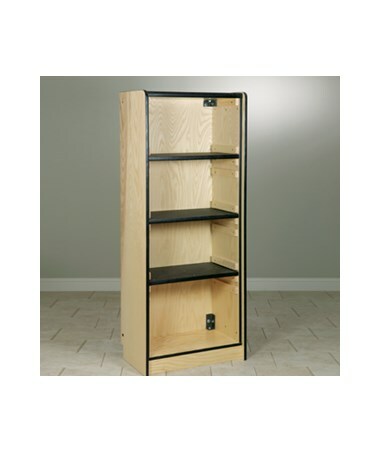 The Weight Storage Shelf is assembled with steel fasteners and a special triple bolt with steel corner brackets. Please note that the device must be attached to the wall for safety. The Clinton Industries Heavy Duty Lift and Load Weight Storage Shelf come with a size of 30" W x 20" D x 78" H and a 5-Year Limited Warranty. Upper Shelf Adjusts from 55" to 59"
Middle Shelf Adjusts from 38" to 45"
Lower Shelf Adjusts from 22" to 29"